Is your company prepared for the possibility of a major fire? No manufacturer, processor or any other facility wants to talk about the possibility of a fire. At AAA Fire Protection Services, we know all too well that you have a busy operation to run, and that you believe everything in your facility is safe and secure. Unfortunately, the unexpected can and does occur. We have seen it happen so many times. Our job is to make sure that your employees and physical assets remain safe from an industrial fire. 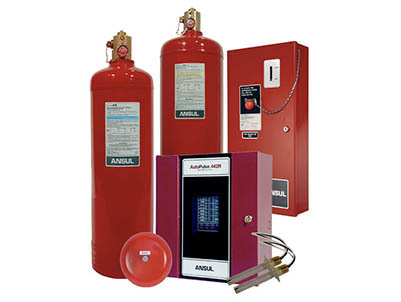 AAA Fire Protection Services works with each client on a customized basis. We understand that each facility is different and fire systems are dependent on the type of product produced or the specialized activity undertaken at your location. We have developed, installed and serviced industrial fire systems for all kinds of clients with specific fire suppression strategies in various sections of their facilities including machinery areas, computer rooms, food processing areas, refrigeration and freezer areas, storage areas and warehouses, data storage areas, company cafeterias, conference rooms and offices, garages and tool storage areas. We are never content with good enough. We strive to meet and exceed your expectations. In addition to installing industrial fire protection systems, we will also supply fire hazard analysis and complete surveys of your needs, along with an overall plan and a priority ranking of your needs. Our staff is highly knowledgeable, friendly, customer service driven and very serious about their duty to make every company safe. We are fully insured and bonded and all of our work is done in accordance within manufacturer guidelines and governmental regulations.